If getting in and out of your two door Wrangler JL is a chore, then you are probably in the market for a set of side steps. The AMP Research PowerStep Xtreme add the convenience of a heavy-duty step, with the appearance of a rocker guard. These heavy-duty extruded aluminum steps automatically deploy whenever you open your Jeep’s doors. When the doors are closed, the steps retract and store flush to the underside of the vehicle for improved ground clearance and aerodynamics. 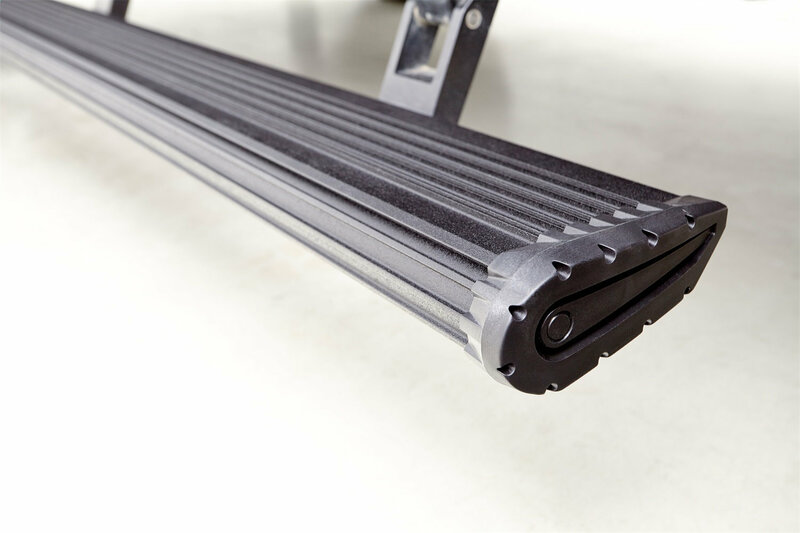 Living up to its name, the PowerStep XTreme uses dual motors for power when deploying and retracting. For additional ease of use, PowerSteps Xtreme feature built in LED courtesy lights. For maximum corrosion resistance, AMP Research uses black-anodized and Teflon® coated aircraft-quality aluminum components. Best of all AMP Research engineers and builds all of their PowerSteps Xtreme right here in the USA! Multi-Motor: Unlike the standard PowerStep, each PowerStep XTreme features two motors instead of one. This gives the XTreme additional power when deploying and retracting. All Weather Design: Amp Research uses anodized and Teflon® coated die-cast aluminum alloy components, stainless steel pivot pins, self-lubricating maintenance free bushings, and sealed waterproof motors. Automatic Deploying Step: The PowerStep XTreme conveniently deploys every time your doors are opened. In addition to the step, LED courtesy lights automatically illuminate the step for added visibility and safety. Heavy Duty Construction: The steps are built from rugged extruded aluminum, and feature OEM quality electric motors. Safety Features: If the steps encounter resistance, pressure sensors will not allow the PowerSteps to deploy or retract. Each step has a 600lb load capacity.